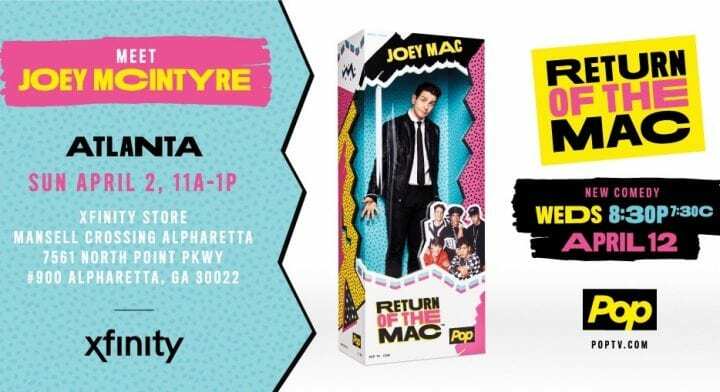 Joey McIntyre was recently in Atlanta promoting his new comedy show “Return of the Mac” which airs April 12th on Pop TV. It is an original scripted comedy about finding his personal stardom following his boy band fame in New Kids on the Block (NKOTB). 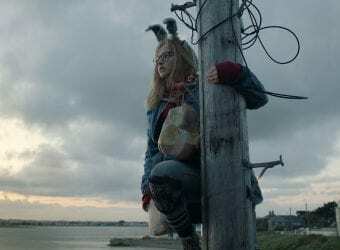 In the hilarious comedy Joey McIntyre plays a devoted husband, a loving father of three, and at 43, he’s still the youngest member of NKOTB, but what he really wants is to be taken seriously as an actor. 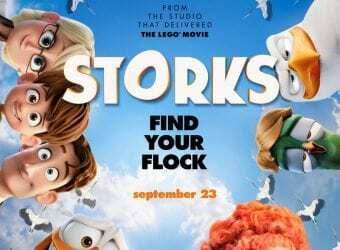 This new original series is inspired by Joey’s real life, as the grown-up boy band member and actor who seeks his next showbiz gig after NKOTB’s latest sold out tour. Pop TV has ordered eight episodes of the 30-minute comedy, which is executive produced by McIntyre himself along with music and television star Donnie Wahlberg, TV and radio personality Jenny McCarthy, and buzz-making television producers Tim Gibbons (“Curb Your Enthusiasm”), Paul Greenberg (“Best Time Ever with Neil Patrick Harris”) and Jenny Daly (“Storage Hunters,” “Hollywood and Football”). 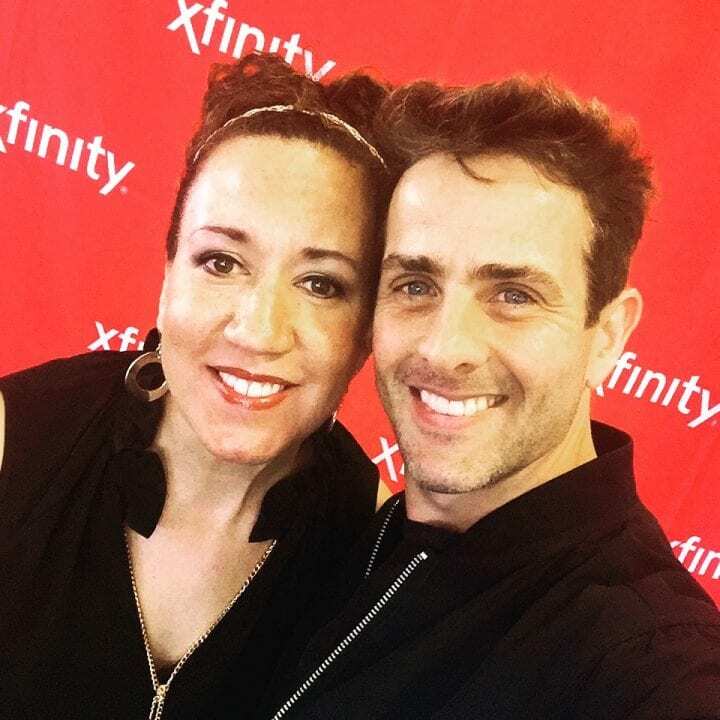 When I interviewed Joey McIntyre at the Atlanta promotional event, he informed me that Jenny McCarthy and husband Donnie Wahlberg will appear in each episode as well as having cameos from other well-known celebrities. I was given the opportunity to watch the first two episodes of “Return of the Mac” and let me just say – they are hilarious! Joey McIntyre is really funny and his comedic acting and timing are spot on. If you are a fan of NKOTB and the adorable Joey McIntyre – you will love this show. 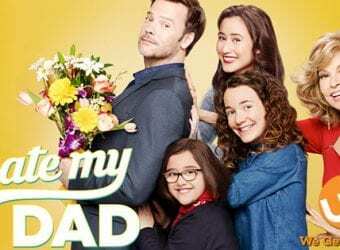 If you are a fan of 90’s nostalgia – you will love this show. Joey Lawrence from Blossom fame appears in the second episode and I couldn’t stop laughing at the witty banter/competition between the two Joeys. “Return of the Mac” debuts April 12th on Pop TV – be sure to watch! I was compensated for my time for this event. However as with all of my reviews, all thoughts and opinions are my own. I was a big fan of NKOTB back in the day. I bet this show is really good. I would like to watch it when it comes out. I hate to admit it but I loved NKOTB and Joey. I will look for the show if I can find POP TV on my provider. Him and Joey Lawrence should make a great duo. I had no idea about this but yes!! Swoon! I am so excited now. I have always been a Joey Mcintyre fan. Well I am sure this will be on the “must watch” list for many people. Ok, many people I know. Ok, maybe me too! I mean, it’s NKOTB! I will have to check out Return of the Mac when it airs. It looks like the kind of show I love. Joey McIntyre is a dreamboat. I’ll have to check out this show. Sounds like a great show too. I have so many on my list that I am wanting to watch. Gosh, I remember the NKOTB craze when I was in elementary school. The girls went CRAZY! Joey was recently in Chicago promoting too, and it was nice to see my friends who were big fans interact with him. I love seeing adults have a little fun with school girl crushes! I’m so jealous that you got to meet Joey, but it seems like you had a blast! That sounds like a great show! I really enjoyed NKOTB music. I will check out that show … and Joey! Jenny and Donnie apparently live fairly close to me now. I now people who went to school with Jenny! I will definitely be watching this! I grew up a huge NKOTB fan and actually have tickets to their upcoming concert stop here in Las Vegas next month. Going to check this out, have a friend who would go crazy for this! I don’t watch a lot of TV so I’m unfamiliar with his work. However, it seems like he has a large fan base. We are always looking for new shows to watch. Until now, I had not heard of this at all. Thanks for the heads up! I had no idea there is a show. I was a big fan then. I would love to see this. Sounds interesting! It will be a good show for sure! I love Joey. Lol! He’s totally a good singer as well! Ahhh…this post brings back so many memories of high school!! HA!!! Great post!! I honestly don’t have idea about the show but it seems a great show. I will do more research about this. Sounds like Joey McIntyre is a classic. Ah good old face from New Kids on the Block! I was a huge teen fan! I remember going to a dance competition with my neighbor. We came up with a routine and we did our best to try to win tickets to the concert. There was so much talent and we didn’t win. Had fun trying. I am going to have to watch this show. I was one of those who went gaga over NKOTB back in the day. 🙂 I would love to watch this show and see him act. This looks like its going to be a funny shoe. Joey was always one of my favorites from NKOTB, I can’t believe he’s 43! I’ve never watched Pop TV before so I wouldn’t even know about this show. This post definitely brought me up to speed! I have never seen this show before. That sounds like something I would enjoy. I’ll check it out. New Kids on the Block was so my childhood. I need to check this out, I liked Joey back in the day. I loved Joey Mcintyre when I was a young girl. He really has not changed very much, it is crazy! What a fun time that you got to meet him!! I had no ideas for this show bu looks an interesting show. I would check this out.